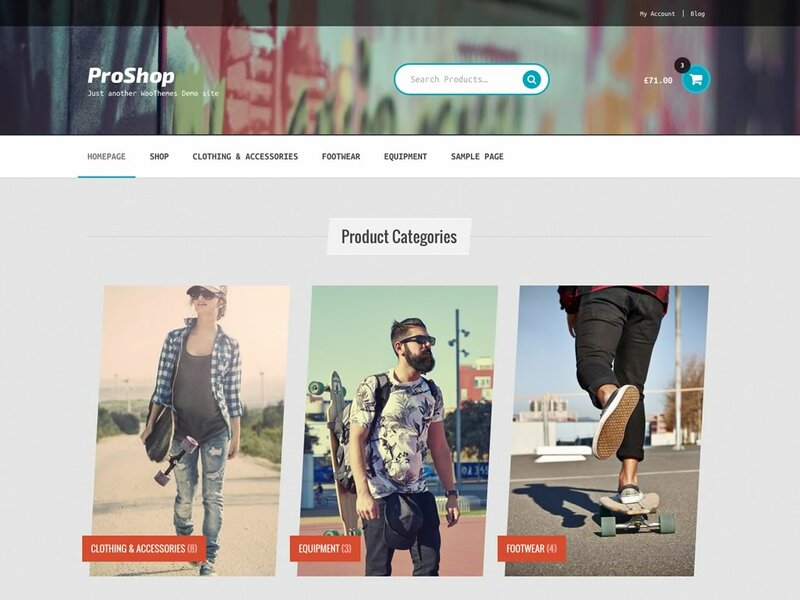 WooCommerce Proshop Theme: allowing you to unlock the true potential of your sports clothing and equipment store featuring a metropolitan design and active aesthetic – requires Storefront! Improve your sports stores performance with ProShop! ProShop is a Storefront child theme that has been designed to be used by sports clothing and equipment stores. It features an urban, texturised design which when coupled with a header image of your choosing will give your store an edgy personality with tons of character. Customise the look and feel with the built in options or install some of the Storefront Extensions to create something truly unique.